Explore refraction, the bending or slowing of light as it crosses a boundary with this comprehensive kit. Durable hands-on equipment makes it intuitive and easy to understand Snell's Law, Total Internal Reflection, or measure the index of refraction of various substances. 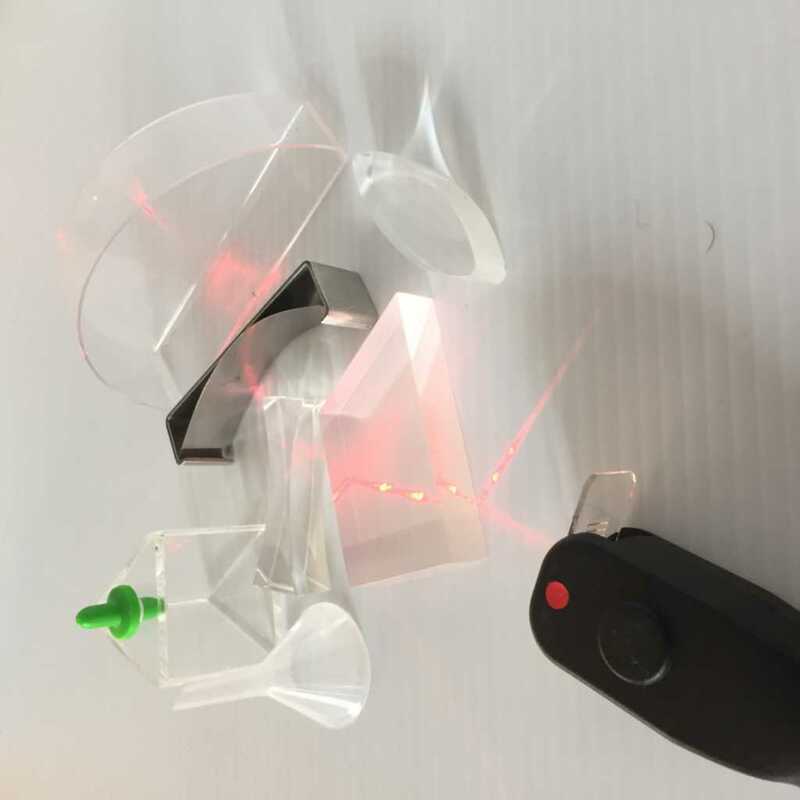 With LASER Blox as the Light Source, students can see the beam without messy fog or chalk, making ray tracing and angle measuring quick, easy and accurate. Ordering information: The Advanced Reflection and Refraction Lab Kit contains a Red Laser Blox Laser with line generating lens; Hollow Prism; Semi circular refraction cell; Set of 3 Acrylic Lenses (concave, convex and trapezoid); a universal mirror (flat, concave, convex); Protractor; Instructions. Classroom Pack: The Advanced Refraction Lab Kit contains 8 Red Laser Blox with line generating lens; 8 Hollow Prism; 8 Semi circular refraction cell; 1 index of refraction block; 30 Protractors; and Instructions.